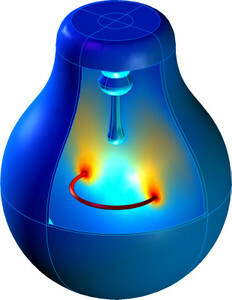 The example used to show how to model heat transfer in a recent webinar involved modeling the natural convection flow with heat in a light bulb. It was a particularly good problem to work through, as modeling a light bulb requires taking all three forms of heat transfer into account, as well as flow. First, you have conduction, when a 60 W filament is heated thus transferring heat from the heat source to the light bulb. Then there’s convection, which drives a flow inside the bulb transferring the heat from the filament throughout the bulb via the movement of fluids (in this case that’s argon gas). Finally, there is the radiation portion of the problem, and in this case that includes surface-to-surface and surface-to-ambient radiation. Our Heat Transfer Module includes both of these types of radiation, so that you can account for shading and reflections between radiating surfaces, as well as ambient radiation that may be fixed or given by an arbitrary function. What makes this a multiphysics problem, and not “just” a heat transfer example, is of course the fact that the light bulb involves both heat transfer and fluid flow. Free convection in a light bulb. This example of natural convection in a light bulb is worked through step-by-step in this archived Heat Transfer webinar. Check it out if you want to learn how to set up and model such a multiphysics problem. Also have a closer look at the Free Convection in a Light Bulb model in our Model Gallery. It’s a multiphysics world, and our software caters to engineers looking to model real-world applications. Very nice example. It combines several heat transfer mechanisms. Unfortunately, following the instructions (for version 4.2a) in the Model Gallery the simulation does not work. The instructions should work for v4.2a as well. If you are having trouble, feel free to send an email to support@comsol.com for help. 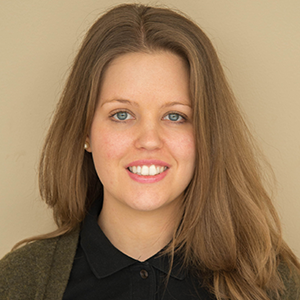 The webinar is no longer available through the provided link ” archived Heat Transfer webinar”. Is there another way to access to that talk ?